3 AJUSTABLE DPI: 800/1200/1600DPI, high precision optical sensor to match your need. You can personalize it as you like. 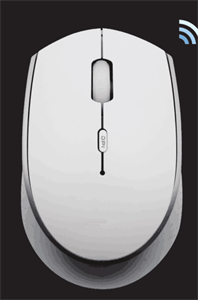 Comfortable & Ergonomic Design: The naturally curved grip and shape of the mouse makes your hand feel comfortable even after long hours, whisper-quiet click makes you focus on what you are doing.